PremiumPress offers special kind of themes that you won’t find elsewhere. 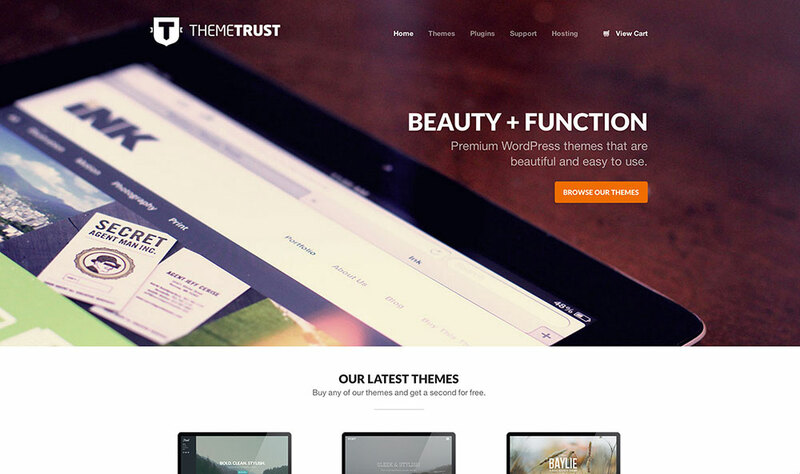 Get 70% OFF all PremiumPress themes. This is a time sensitive discount therefore make sure to act now! These guys seem like they are the polar opposite of Organic Themes. Whilst Organic Themes say they try to keep everything very stripped down and as minimal as possible, PremiumPress advertises the fact that their themes are feature rich and have their own framework. PremiumPress are primarily targeted at businesses and eCommerce sites, showing features on their websites like shopping carts, coupons, auctions and classified ads. Ah, all the things which used to exist in the real world, back in the day. PremiumPress seems very serious about what they do, and do indeed have a lot of features available for the SEO engineer and the niche dating website designer alike. It’s good there is a site here dedicated purely to business. I’d bet they do a roaring trade and probably sell more than sites which do 50,000 multipurpose templates with watery associations and mixed-use plugins. Their showcase section doesn’t look all that appealing. I suppose, unlike Graph Paper Press who think that the website makes the man, PremiumPress think the man makes the website. More specifically, the man’s website (or woman’s, in the case of BluChic). In action, their templates are incredibly drab. Grey, misty affairs which is probably very reflective of their down-to-business attitude. I’m a little tired as it is, but I’d rather look at these sleepy themes than the head-exploding seizures provided by Themify’s brand of eTorture. 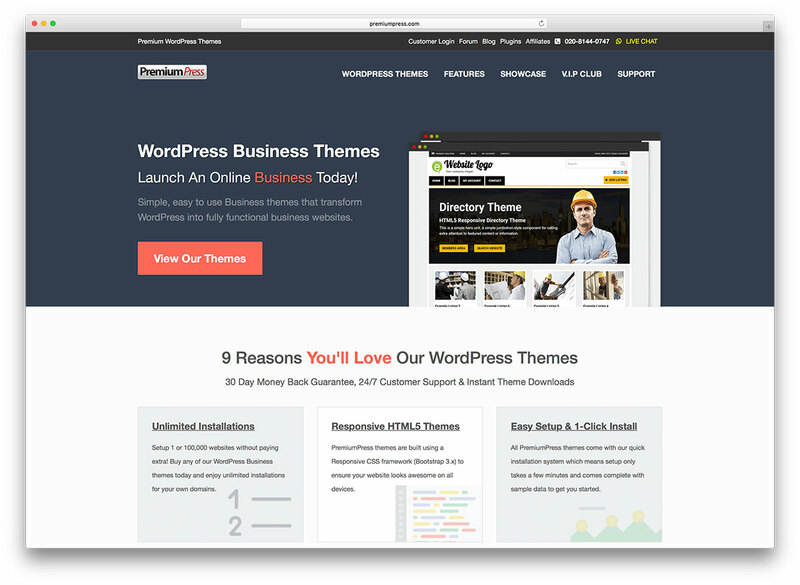 Scrolling through a few different themes they offer, they aren’t actually aiming to look 100% pre-Web 2.0. They have some themes with nice, interactive features. The kind of things many places do to death, but these guys have got it just right. They’re so down to earth, in a charming sort of way. Almost like a feeling of nostalgia, for when websites didn’t have to flash the spectrum of colours at 30 frames per second to get your attention. According to this untrustworthy looking ad promotion, for today only the themes are reduced by $250, from $599 to $249. I might have to check back tomorrow for a little chuckle to myself when I see they are offering the same thing for two days in a row. I know what you guys are like, don’t try and hide it! They keep their news feeds reasonably up to date, advertising updates and new themes. Not so great though, considering they are littered with spelling and grammar errors. Maybe they should hire someone to write down the developer’s thoughts into coherent sentences instead of letting them rattle off this stream of conscious thought. I thought it was dummy text at first glance, lifted from Ulysses. OK, that was just one choice selection which was a bit messy, but still, it’s all about public image for businesses, right? Maybe step that up a bit. The RealEstate theme which they offer is actually very nice. Toned down, mellow and blue-green. That’s what my eyes want to see at this time of night. PremiumPress are definitely doing business themes the right way; almost bordering on boring, but just enough to focus you on the content not the borders, video embeds, epilepsy inducing media sliders, or any of that other stuff people are so fond of adding these days.